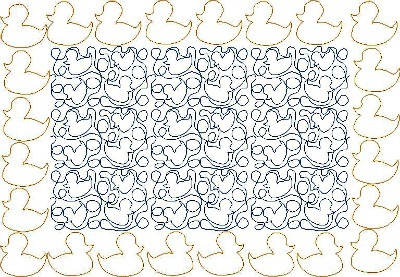 To download our free baby duck pattern also called free applique quilt pattern, you will need the latest version of Adobe Reader to open and read this pdf file. 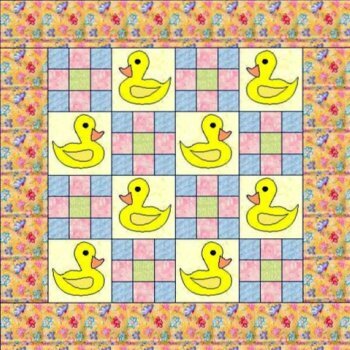 Our free baby duck pattern was designed using EQ7 software and is an easy quilt pattern to try no matter if you are a beginner quilter or an experienced quilter. Every other square is a nine patch design and flanked by the free applique quilt pattern containing a duck. It is perfect for trying your skill at appliqueing. Don't worry, it is easy! You will find all the necessary instructions & templates that are unique for these blocks, to complete a full size quilt plus a picture of the quilt. 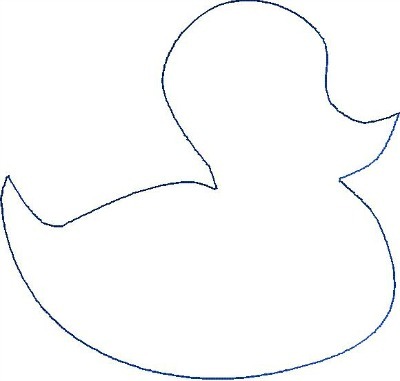 This free baby duck pattern is truly a gift that keeps on giving! You'll also get access to more easy quilts, like Sam and Sue, Amish Basic Block, Civil War Quilt Patterns, and much, much more! 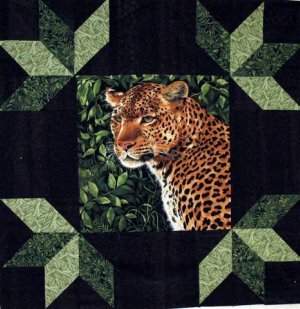 We are also proud of a growing collection of additional Easy Quilt Patterns that we create using the EQ7 software. All of our patterns come with the necessary instructions, templates, fabric requirements and a picture to complete any of the projects. They are available at a nominal cost. 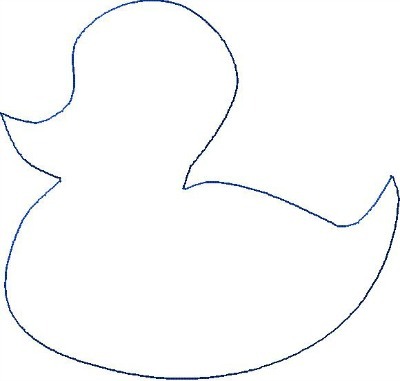 Try this edge to edge design for the center of your quilt top and sew the 6-inch ducks around the border. Don't like ducks in the border...try the praying kids!